Carolyn Porter | The zigzag afghan mentioned on page 51 of "Marcel's Letters"
See a photo of the zigzag afghan mentioned on page 51 of "Marcel's Letters" — along with a photo from 1983 of the day I received the afghan as a gift from my grandmother. Carolyn Porter, Marcel Heuzé, Books on World War II, non-fiction, Best WWII non-fiction books, Books like Lilac Girls, Books like Sarah's Key, Books like All the Light You Cannot See. Readers have told me they enjoy seeing photos of events mentioned in the book, such as this moment from page 64. In the coming weeks I will try to post more of these moments/artifacts. But what I thought you really might enjoy is a much older photo. 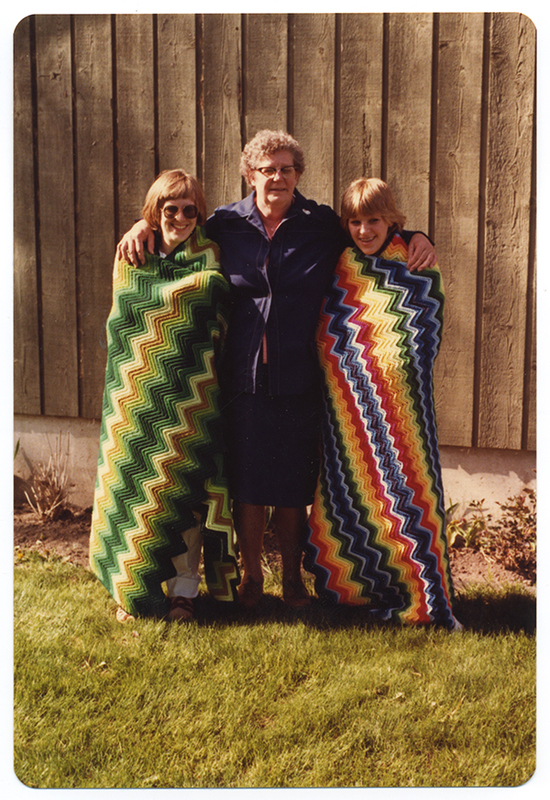 This photo, from the spring of 1983, was snapped shortly after my grandmother gave the afghan to me. My sister is on the left; she got one, too. Is there a moment or artifact in the book you’d like to see? Let me know and I’ll see what I can do to post evidence! 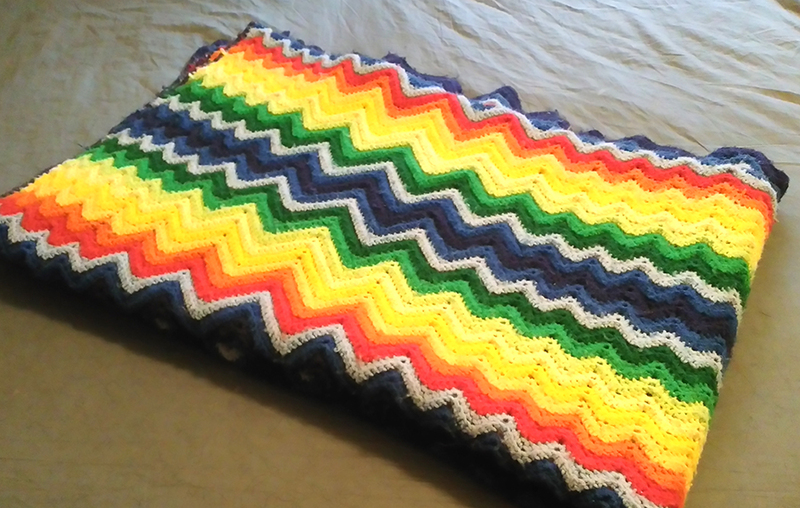 I, too, have a zig zag afghan that my grandmother made. I inherited it from my Mother. I came along too late to have her make me one. I am 83 so you can imagine that my afghan is over a 100 years old. Mine is darker, more muted multicolored than yours. Aren’t we fortunate!